Sungyoon received a Ph.D. degree from the School of Mechanical and Aerospace Engineering of KAIST (Korea Advanced Institute of Science and Technology) in 2008. Since obtaining his doctorate he has worked for SHI (Samsung Heavy Industries) from 2008 as a senior engineer. 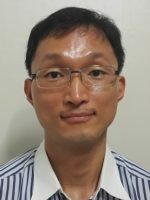 His LNG research includes Boil Off Gas in LNG storage, developing assessment methods to determine machinery capacity in LNGC or FLNG, CFD analysis related LNGC, piping system analysis and pressure relief and flare systems.